I’ve been thinking about how many ways time influences the data management world. I’ve been thinking about how many ways time influences the data management world. When it comes to managing data, we think about improving processes, coercing the needs and desires of people and how technology comes to help us manage it all. 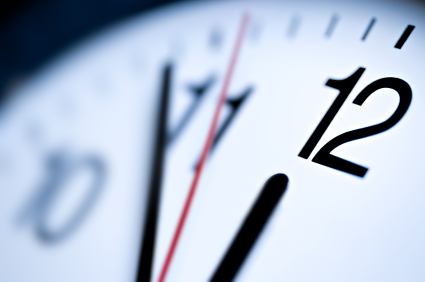 However, an often overlooked aspect of data management is time. Time impacts data management from many different directions. As time marches on, technology offers twists and turns to the data steward through innovation. 20 years ago, mainframes ruled the world. We’ve migrated through relational databases on powerful servers to a place where we see our immediate future in cloud and big data. As technology shifts, you must consider the impact of data. The good news is that with these huge challenges, you also get access to new tools. In general, tools have become less arcane and more business-user focused as time marches on. Like changes in technology, people also mature, change careers, retire. With regard to data management, the corporation must think about the expertise needed to complete the data mission. Data management must pass the “hit by a bus” test where the company would not suffer if one or more key people were to be hit by a Greyhound traveling from Newark to Richmond. Here, time is requiring us to be more diligent in documenting our processes. It is requiring us to avoid undocumented hand-coding and pick a reproducible data management platform. It helps to have third-party continuity, like consultants who, although will also experience changes in personnel, will change on a different schedule than their clients. With regard to data management, corporations have a maturity process they go through. They often start as chaotic immature organizations and realize the power of data management in a tactical maturity stage. Finally, they realize data management is a strategic initiative when they begin to govern the data. Throughout it all, people, process and technologies change. Knowing where you are in this maturity cycle can help you plan where you want to go from here and what tactics you need to put in place to get there. For example, very few companies go from chaotic, ad hoc data management to full-blown MDM. For the most part, they get there through making little changes, seeing the positive impact of the little changes and wanting more. Rather, a chaotic organization might be more apt to evolve their data management maturity by consolidating two or more ERP systems and revel in its efficiency. When it comes to specific projects, taking too much time can lead to failure in projects. In the not so distant past, circa 2007, the industry commonly took on massive, multi-year, multimillion dollar MDM projects. We now know that these projects are not the best way to manage data. Why? Think about how much your own company has changed in the last two years. If it is a dynamic, growing company, it likely has different goals, different markets, different partners and new leadership. The world has changed significantly, too. Today’s worldwide economy is so much different that even one year ago. (Have you heard about the recession and European debt crisis?) The goals of a project that you set up two years ago will never achieve success today. Time makes us take an agile approach to data management. It requires that we pick off small portions of our problems, solve them, prove value and re-use what we’ve learned on the next agile project. Limit and hold scope to achieve success. Companies who are just starting out generally have fewer data management problems than those who are mature. Time pushes our data complexity deeper and deeper. Therefore time dictates that even small companies should have some sort of data management strategy. The good news is that now achievable with help from open source and lower cost data management solutions. Proper data management tools are affordable by both Fortune 1000 and small to medium-sized enterprises. That said, the longer a corporation is in business, the longer it can be held responsible for lower revenue, decreased efficiency and lack of compliance due to poor data management. The company decides how it is going to govern (or not govern) data, what data is acceptable in the CRM and who is responsible for the mistakes that happen due to poor data management. The longer you are in business, the more responsible the corporation is for its governance. Time holds us responsible if the problems aren’t solved. Finally, time often brings us success in data management. With success, there is a propensity for corporations to take the eye off the prize and spend monies on more pressing issues. Time and success can lead to a certain apathy, believing that the data management problem is solved. But, as time marches on, new partners, new data sources, new business processes. Time requires us to be ever vigilant in our efforts to manage data.